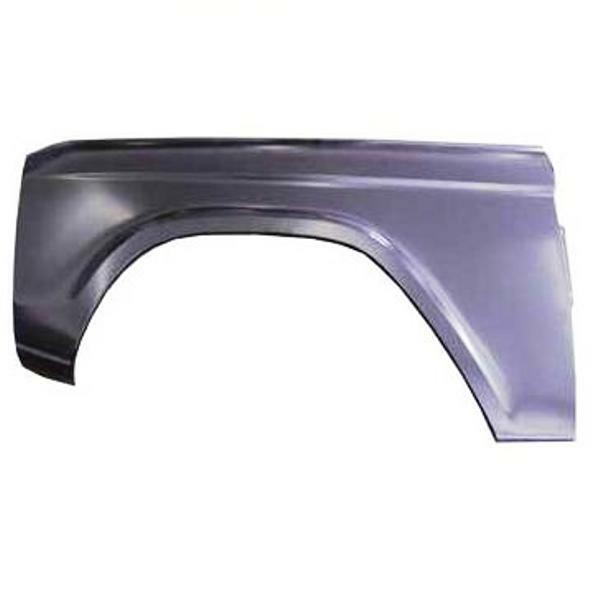 Our OEM Type Left Steel Front Fenders fit 66-77 Ford Broncos and are the best fitting fenders on the market. They are stamped to exact tolerances so that all body lines match up to the connecting sheet metal. OEM Type fenders that fit 66-77 Ford Broncos. These are the best fitting fenders on the market. 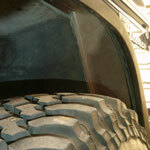 Our fenders are stamped to exact tolerances so that all body lines match up to the connecting sheet metal. NOTE: Almost every company claims that they have the best fenders on the market. If you are shopping around, look to see if the fender has emblem holes pre-drilled. If it does, then it is the inferior fender which will require much more work to fit to the original body. Select the options you want to include with your fender. The price of this item is for the fender only. Each item you add to the kit will adjust the total price in checkouts. By selecting the items here instead of purchasing them separately, you will save on shipping because all of these items are included to ship in the same box. If you select all of the Recommended Kit Items, you will have all of the basic parts you need to replace your entire fender assembly. If you don't need an entire Recommended Item, you can just not select that item and then select any part you do need in the Miscellaneous Parts section. Be sure to add any emblems you need from the Emblem section. NO ADDITIONAL FREIGHT will be charged. Very good and quality products. Thank you wild horses!